2018, already a historic season for the Green Bay Packers, just got taken up a notch. In the 100 year existence of the Green Bay Packers, never has a Packers team overcome a 17-point deficit at the start of the fourth quarter. Never in 111 such games. Until Sunday Night. Aaron Rodgers poked our faded memories as he did his best Willis Reed impression. After being carted to the locker room in the first half with a knee injury, all seemed lost for the Packers in this game. Down 17-0 at halftime, both the team and the fans were feeling rather despondent. And then Aaron Rodgers came back out for the start of the second half, first walking and then jogging over to the Packers sideline. A buzz began to grow in the stadium. Would Rodgers actually try to play on that knee in the second half? The Packers could only muster a field goal in the third quarter, but then the magic happened. 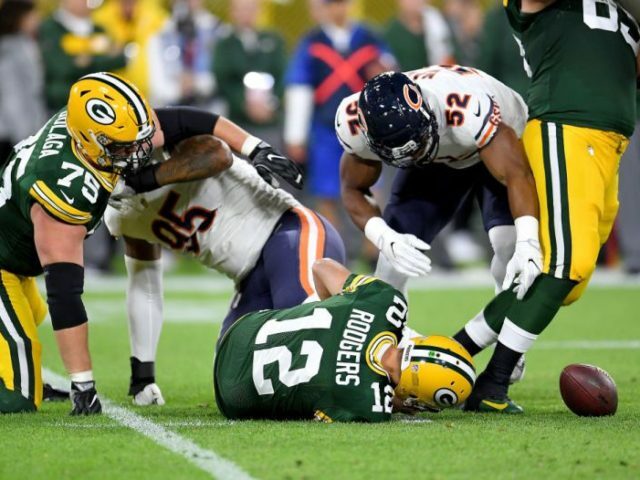 Less than a minute into the fourth quarter, a hobbled Rodgers threw a picture-perfect pass to the far corner of the end zone that was pulled in by Geronimo Allison for the Packers’ first touchdown. The rest of the fourth quarter was a blur, as two more Rodgers TD passes and some big stops by the Packers’ defense secured the historic comeback victory. Those were surely some long odds that Aaron Rodgers bucked in leading the comeback. One has to wonder what betting odds we could have gotten at the start of the fourth quarter for a Packers win. 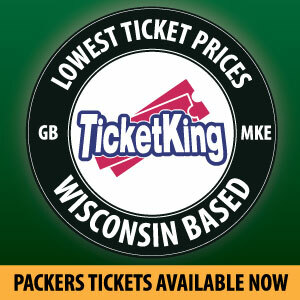 Would be best to be more prepared for the Packers’ next game if you plan on making a few bucks. For example, Sportsbettingdime monitors which online betting sites offers the best odds to secure a better payout. Do your research beforehand. A game with a surprising outcome is sure to happen again and when it does, take advantage of the odds. This entry was posted in Packers 2018-2019 Season and tagged Packers. Bookmark the permalink.